D&D Motors has one of the largest selections of pre-owned vehicles in the Tri State area! If you are looking for a used, pre-owned vehicle, then you have come to the right place! D&D Motors, has two great locations to better serve you. We are located on Rt. 36 in George's Creek and on Rt. 220 - BelAir (Cumberland) Md. 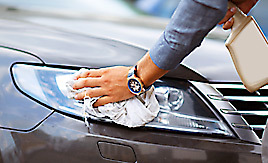 We have over 100 Cars, Trucks, Vans and SUVs at each location. All vehicles are Maryland inspected and come with a 30 Day/1,000 Mile, 50/50 Warranty. At D&D Motors we stand behind our pre-owned vehicles. We have a fully staffed Service Department at each location to serve you after the purchase of your new, pre-owned vehicle. D&D Motors understands your situation, and we can get you approved for that Car, Truck, Van or SUV of your dreams. We have financing for all credit types... whether you have good credit, no credit, slow credit or bad credit ... We have a loan program just for you! Stop by Rt. 36 in George's Creek, or Rt. 220 in Bel Air (Cumberland) and speak with our friendly and helpful sales staff. D&D Homes has been in business since 1999. We are exceptionally proud of the numerous amount of homes we have set in the surrounding areas. Many of the homes sold are on a referral from other satisfied customers. We sell both Modular & Manufactured homes. This allows our customers the financial freedom of buying a home that fits their budget and gives them lots of choices on floor plans to fit their lifestyle. D&D Homes - Making your dreams of owning a home a reality. No bank needed!. At D&D Motors, we have financing for all credit types... whether you have good credit, no credit, slow credit, or bad credit ... We have a loan program just for you! 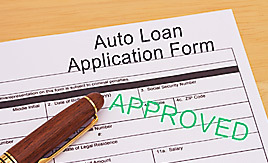 Call today or click here to apply online now for financing! We stock a wide variety of inventory at D&D Motors, including used cars, trucks, vans, and SUV’s. Each vehicle undergoes a rigorous inspection process to make sure that your vehicle is in the best condition., and all vehicles come with a 30 Day/1,000 Mile, 50/50 Warranty. D&D Motors | Used Buy Here Pay Here Cars MD has been visited 17,581,118 times.